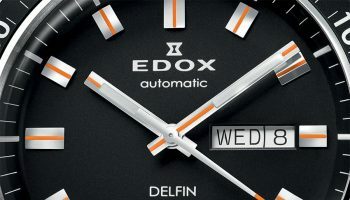 Over five decades ago Edox launched the Delfin. The original Delfin had a double caseback and double ‘O’ ring construction for the crown and pushers which gave the watch exceptional strength and underwater protection; revolutionary at that time. The new Delfin swims in its predecessor’s, uhm, fins? Delfin – The Original had a cool nickname. 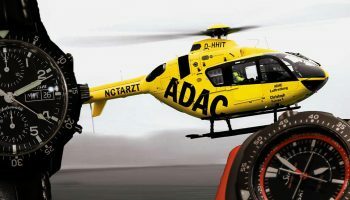 The watch was dubbed The Water Champion because of the fact it was water-resistant to an 200m, an amazing achievement back in 1961 when it was launched. Thanks to a double caseback and double ‘O’ ring construction for the crown and pushers the Delfin felt like a fish in water. 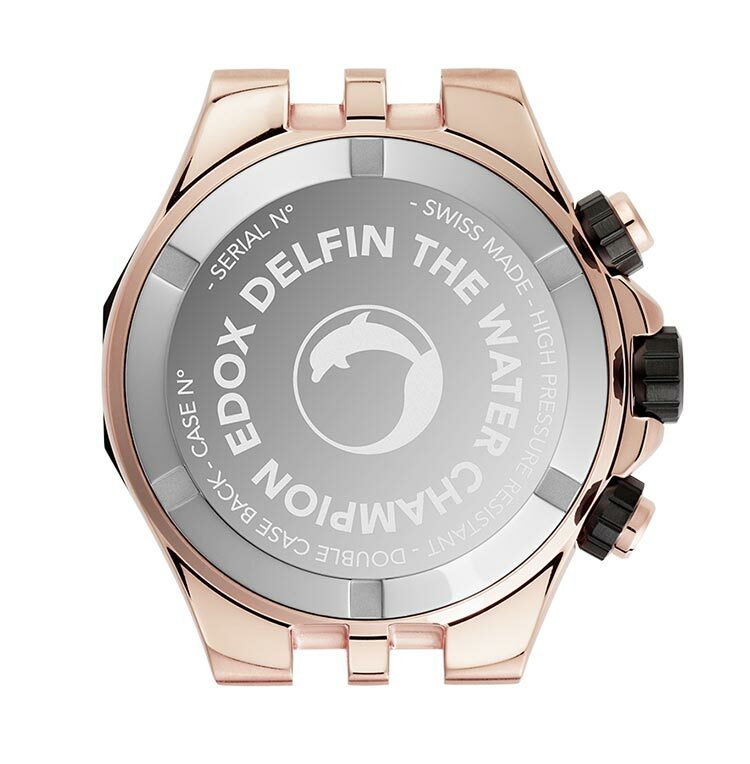 This year Edox introduces an updated version of The Water Champion, the Delfin Chronograph Rose PVD. It’s a modern sports watch that’s packed with functionality (including tachymeter readout, date display, dive bezel and chronograph sub-dials) and engineered to equal the qualities of the 1961 original Delfin. 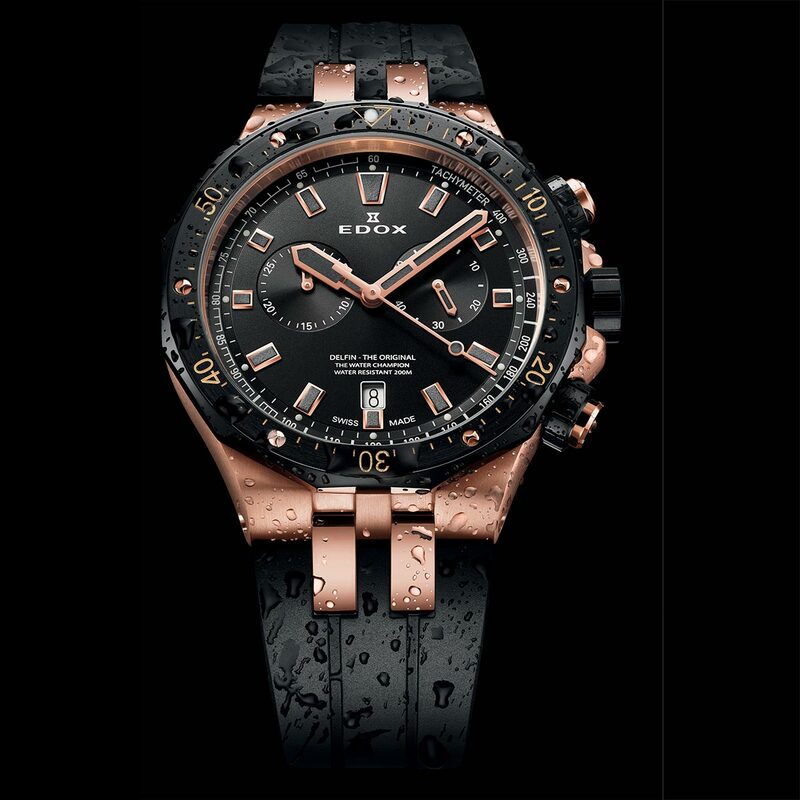 The Edox Delfin Chronograph Rose PVD is a new model in the Delfin Chronograph collection. Like all the Delfin models it features a 316L steel case but now with a pink PVD coating. The 43mm watch has quite ta glamourous appearance. A steel Delfin can be compared to a dolphin, this shiny pink gold PVD version looks more like a goldfish. But people love goldfish, so no problem. The strong look of the case stems directly from the design language of the 60’s so it strikes the right retro note. From a design standpoint you could argue that the Delfin shares the same design codes as the Nautilus, Royal Oak, Ingenieur or Overseas for instance. The Delfin looks like its famous siblings but at a fraction of their prices. 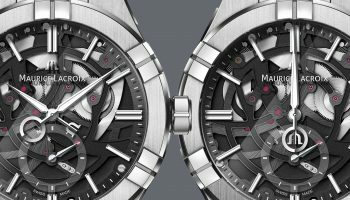 The Delfin Chronograph Rose PVD costs approximately 850 Euro. 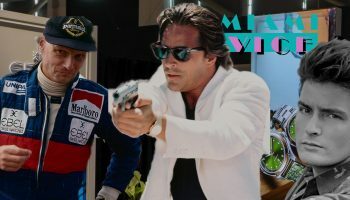 A price of less than a thousand euro for a Swiss Made watch with a legit heritage, how’s that possible? Partly because of the movement. 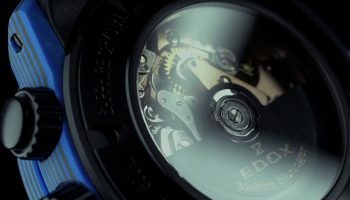 Inside the Delfin beats the Edox caliber 101, a quartz movement based on the Ronda 5021.D which is a very reliable Swiss movement. The watch not only features a chronograph but also a tachymeter so you can measure speed – quite a challenge while swimming with the dolphins. Like most divers and water sports watches, the Delfin comes with a rubber strap.